The first team passed by the check point, with Maciejowski and Mossoczy (BikeBoard) in first place. In second place follow Kalogeropoulos and Papapnikolaou (Pedal Force One), two minutes behind. We remind that BikeBoard need to win seven minutes ahead of Pedal Force One to take the first place in the overall ranking. 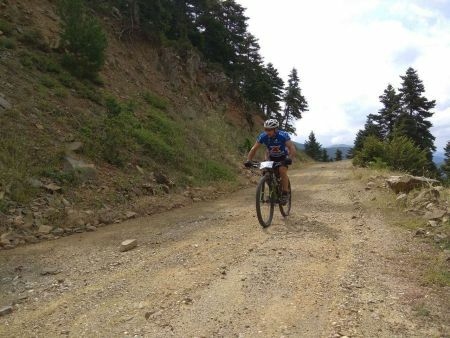 In the first place for the 3-days race are Papasavvas and Sinetairoi, five minutes ahead of the West Bikers of Rizos and Tabaropoulos in second place.